Prof. Sachiko Murata is coming to Istanbul to attend Institute for Sufi Studies International Summer School. Üsküdar University Institute for Sufi Studies initiates an international summer school along with the support of Kerim Foundation. Well-known names of Sufism will attend the program as lecturers between the dates of 16-29 July 2018. 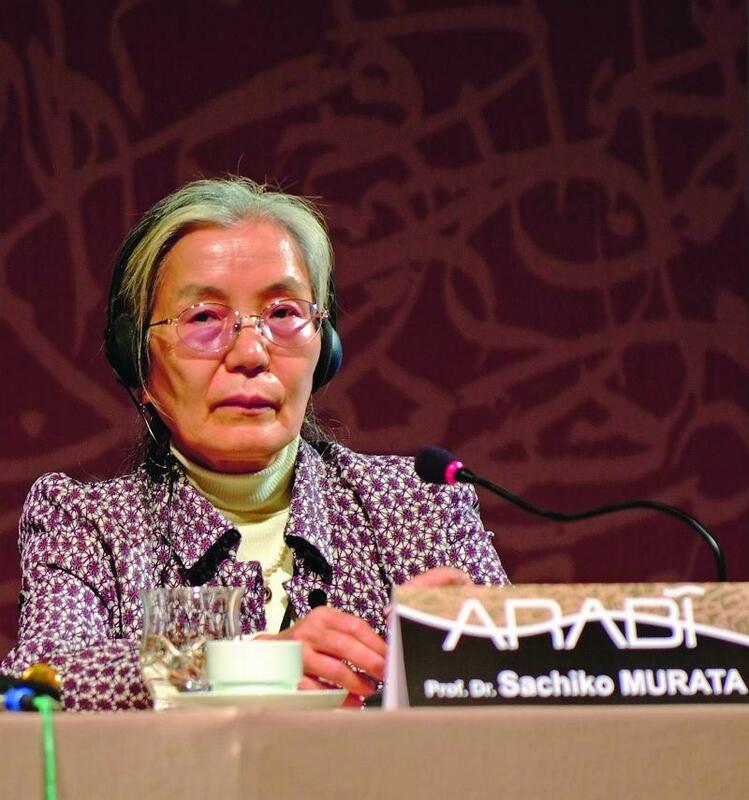 Prof. Sachiko Murata, a specialist in Islamic thought in China along with Islam and Chinese Civilization, is among the well-known lecturers who will be present in the summer school. Prof. Sachiko Murata will give a lecture on “Islamıc Thought in Chinese” within the concept of Institute of Sufi Studies International Summer School. Prof. Sachiko Murata, a faculty member at the Department of Comparative Studies at Stony Brook University, was born in 1943. She completed her undergraduate degree in Japan at Chiba University in law. She received her doctorate degree at Tehran University, examining Nizamî-i Gencevî's Heft Peyker Mesnevî. She has started her second doctorate in the same university as the first women examining Islamic Law but had to return to USA in 1979 without finishing her thesis, along with her husband William C. Chittick due to the Iranian Revolution. As of this date, she has been giving lectures in Stony Brook University and published her studies on Islam, Confucian philosophy, Taoism and Buddhism. In 2012, she gave lectures in Peking University, Ken’an Rifâî Islamic Studies Chair, which was established by TÜRKKAD – Turkish Women Culture Association, on the main issues of Islamic thought and Muslim Confucianists. The book that she wrote along with William Chittick and Weiming Tu about Chinese Muslims called Huiru coming from İbnü’l Arabî School, was read in courses. The book was published with Eser Seyyid Hüseyin Nasr’s preface. “The Vision of Islam” (along with William Chittick) “Chinese Gleams of Sufi Light”, “The Tao of Islam” are some of the book written by Murata and she is known as one of the most important scientists who trace the links between Chinese culture and Islam in the original sources and in the history of civilization.